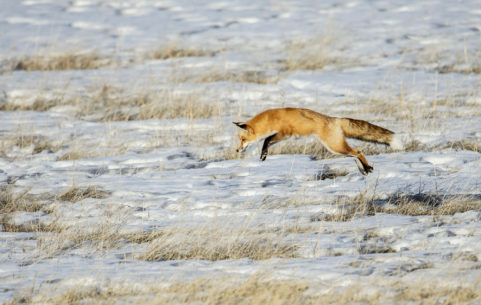 I was driving down the road when I spotted this little fox not too far into a field. I pulled over and grabbed my camera and got off a couple shots while he was still close to the road. After this catch he wandered further into the field.